This is a Dr. David R. Reagan article entitled, “Bill Salus, A True Eshcatologist.” This piece was featured in the May 2017, edition of Lamplighter Magazine. The article combines an infusion of the Reagan article with some Bill Salus comments inserted in red. 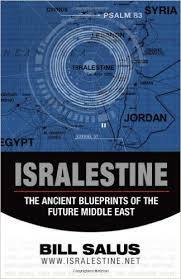 Bill Salus made a grand entrance into the world of Bible prophecy back in 2008 when he published his first book titled, Isralestine, The Ancient Blueprints of the Future Middle East. Prior to that time, he had been a businessman and a music minister. But he had also been a passionate student of God’s Prophetic Word. Bill likes to refer to himself as an “Eschatologist.” And he often uses that term to refer to me and other Bible prophecy specialists. I hate the term. It sounds very academic and stuffy. Further, it sounds like a reference to a person who studies bugs! I prefer to be known simply as a Bible prophecy teacher and preacher. But if anyone could be called an Eschatologist, it would be Bill — and not because he is stuffy. Rather, he brings an inquisitive attitude to God’s Prophetic Word, and this attitude propels him to constantly search for end time prophecies that may have been overlooked or misinterpreted. ESCHATOLOGY, is derived from the two Greek words, “eschatos,” which means last or final and, “ology,” which means the study of. Thus, an ESCHATOLOGIST is someone who devotes his attention to the study of the biblical end times. Bill’s first book was longwinded and very tedious to read. He seemed unable to keep his focus on his subject as he chased rabbits all directions. But his basic thesis caught the attention of Bible prophecy experts. Basically, what he argued was that Psalm 83 is a prophecy about an end time war that is yet to occur – a war between Israel and all the Arab states with whom it shares a common border. Previously, Psalm 83 had been considered to be simply a lament over the desire of the nations of the world to destroy Israel. And most Bible prophecy specialists quickly dismissed Bill’s thesis as nonsense. But Bill proved to be tenacious, and he could not be easily pushed aside. I felt like his thesis was well worth considering since the end time war of Gog & Magog, led by the Russians (Ezekiel 38 and 39), does not involve a single nation that has a common border with Israel. It made sense to me that the Psalm 83 War would be fought first, ending with an overwhelming Israeli victory that would spur the Arab world to turn to Russia for help. The Russians would then respond with a coalition of Arab states from the outer perimeter of Israel — all of which would be defeated supernaturally by God. As to whether or not Psalm 83 was a prophecy, Bill pointed out that it was written by Asaph who is identified as a prophet in both the Old and New Testaments (2 Chronicles 29:30 and Matthew 13:35). Further, Bill offered strong evidence that the conflict pictured in the psalm has never occurred in history, and therefore, if it is a prophecy, then it is one yet to be fulfilled. But the majority of the Bible prophecy community reacted to Bill’s thesis as if all end time prophecies had already been discovered and properly interpreted. He was not even given the courtesy of being invited to present his thesis at the annual Bible prophecy conference sponsored by the Pre-Trib Research Center. I encouraged Bill to rewrite his book to make it more readable and appealing to the general public, and he did so. 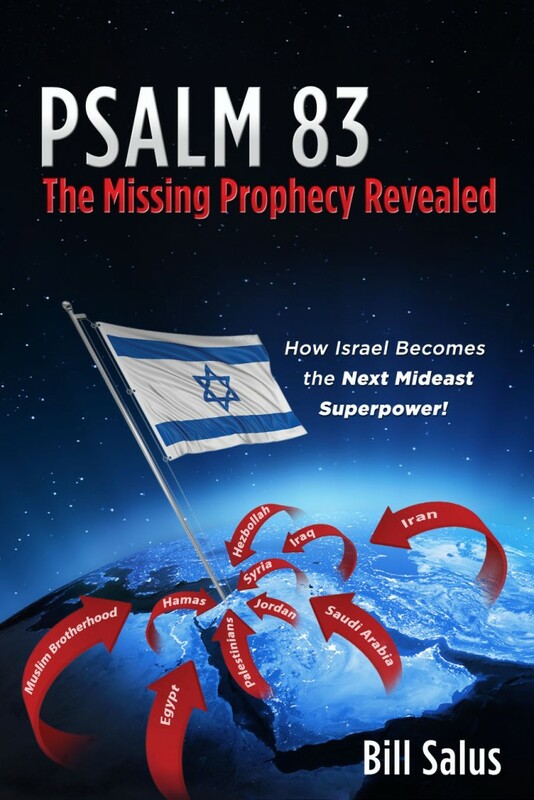 He published a much shorter and easier-to-understand version in 2013 titled, Psalm 83: The Missing Prophecy Revealed. I recommend this book to you. Bill’s next discovery was even more fascinating. 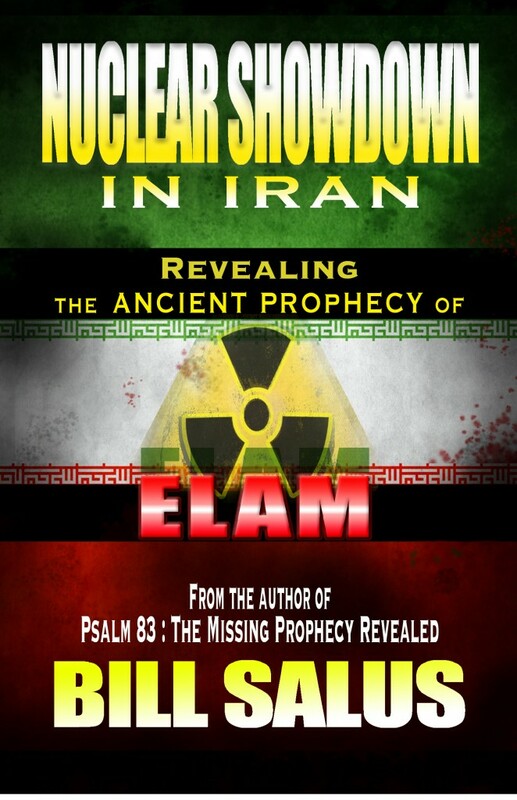 In a book titled, Nuclear Showdown in Iran: Revealing the Ancient Prophecy of Elam (2014), he pinpointed a prophecy in the book of Jeremiah that few people had ever commented on. This book was well organized, clearly written and focused in its presentation. His thesis was that the Jeremiah passage (49:34-39) indicates that in the end times there will be a great catastrophe in the area of modern day Iran that is called Elam in the Bible — the place where a nuclear reactor is located today. The prophecy says the area will be destroyed and the people scattered, but they will be regathered when the Lord returns. Further, the passage states that the Messiah will have an alternative throne located there. Again, this is a book I would highly recommend. 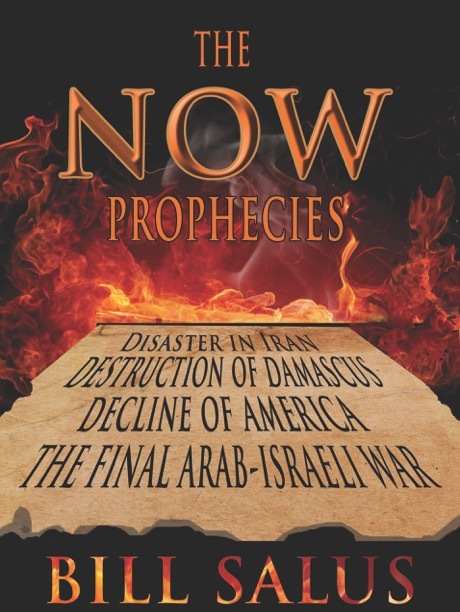 Bill’s book, The Now Prophecies (2016), was much needed since there are highly respected Bible prophecy experts who argue that all end time prophecies are going to be fulfilled during the Tribulation and the Millennium and that any prophecies that appear to be fulfilling now are just “stage setting.” Bill and I both strongly disagree with this attitude about end time prophecies. The fact of the matter is that many end time prophecies were fulfilled in whole or in part during the 20th Century — such as the regathering of the Jewish people from the four corners of the earth and the re-establishment of their state. And then there is the explosion of knowledge and the invention of rapid transportation, as well as very negative developments like the paganization of society and the rapidly developing apostasy in the Church. 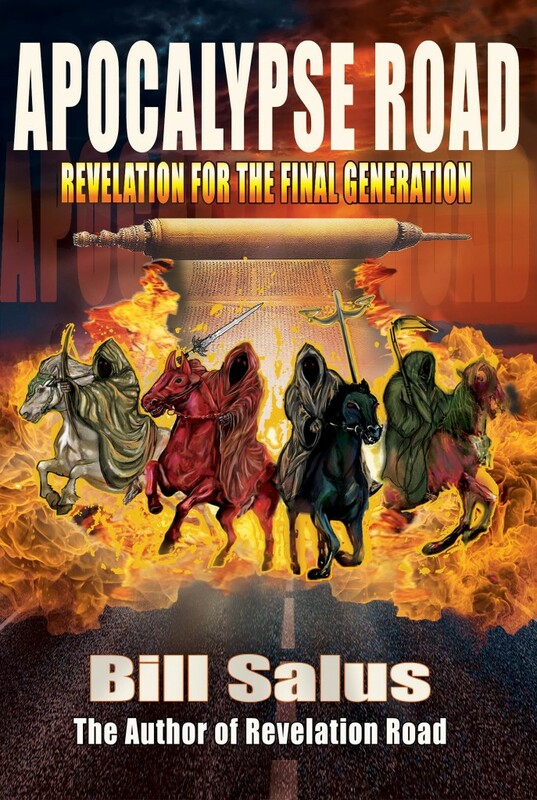 Bill is currently in the process of writing a three part series of novels about the end time prophecies. These books are rather unique because the first half of each one is a novel based on end time prophecy, while the second half of each book contains a commentary on the prophecies. This makes for very long books. I have not been reading this series because I do not care for fictionalized presentations of Bible prophecy. Two of the books in the series have been published. 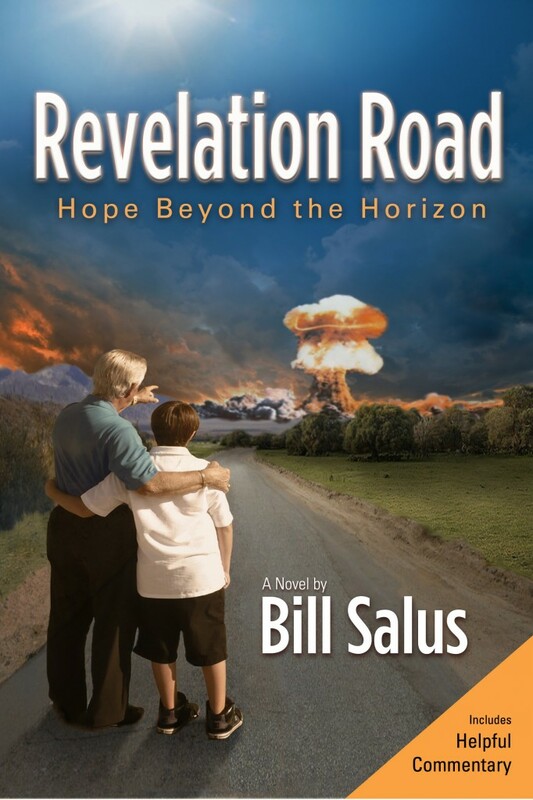 The first, titled, Revelation Road: Hope Beyond the Horizon (2012), begins with the Psalm 83 War and the destruction of Damascus and ends with the Rapture of the Church. The second in the series, Apocalypse Road: Revelation for the Final Generation (2017), focuses on the gap period between the Rapture and the beginning of the Tribulation. This is a much needed study since most people seem to assume that the Tribulation begins immediately after the Rapture. The fact of the matter is that the Tribulation is triggered by the Antichrist confirming a covenant made with Israel, and that could happen months or even years after the Rapture. I have not always agreed with Bill’s interpretations of prophecy, which is no big deal. After all, I am not the Pope of Prophecy, and there are many things about end time prophecy that are not clear and can be honestly debated. For example, in his book about the “Now Prophecies,” Bill identifies the United States with the biblical references to Tarshish. I don’t think this identification can be justified. The connection between America and the “Young Lions” of the “Merchants of Tarshish” is made in this article called, “Are the UK and USA in Ezekiel 38?“, or in greater detail in the Now Prophecies book. In his latest book, Apocalypse Road, Bill proposes an idea that I strongly disagree with — namely, he pulls the Seal Judgments out of the Tribulation and places them in the gap between the Rapture and the Tribulation. His basic reason for doing so seems to be his conviction that there just isn’t enough time to fit all the judgments of Revelation into a Tribulation period of only seven years. I think Bill is way off base here. I believe the Lord is capable of accomplishing whatever He pleases in any time frame He chooses. And I believe the book of Revelation clearly places the Seal Judgments within the seven year time frame of the Tribulation. Further, removing the Seal Judgments from the Tribulation compromises the integrity of Daniel’s 70 Weeks of Years. Bill’s attempt to help the Lord out by providing Him with more time reminds me of Theistic Evolutionists who argue that God could not have created the universe in six days, so they provide Him with more time by converting each day of creation into a billion years. (Read Bill’s points of clarification to Dr. Reagan’s points of disagreement below this article). Like me, you may not agree with all of Bill’s interpretations or conclusions, but they are always biblically based and they will force you to search the Scriptures and reconsider your own interpretations. I therefore hope Bill will keep digging and will continue discovering prophetic gems. Have you ever stopped to think how many First Coming prophecies were not understood or even recognized until the Holy Spirit opened the eyes of the New Testament writers to them? Consider the prophecy in Hosea 11:1, which reads, “When Israel was a youth I loved him, and out of Egypt I called My son.” Surely people must have thought this referred only to the deliverance of the nation of Israel from Egyptian captivity. But the Gospel of Matthew applies this statement to the Messiah (Matthew 2:15), claiming it was a prophecy about the escape of Joseph and Mary from Herod’s murderous army when they fled to Egypt with the Christ child and then subsequently came out of Egypt and returned to their home in Nazareth. Bill Salus clarifications to Dr. Reagan’s points of disagreement are below. All of these points are presented clearly in the Post-Rapture / Pre-Tribulation Gap Thesis section of the Apocalypse Road book. 1. I don’t insert all seven seal judgments into the time-gap. I believe that only the first five begin in the gap, but conclude during the Tribulation Period, (Trib-Period). 2. I teach that the covenant that triggers the Trib-Period can’t even be ratified until the fourth seal is opened. I believe that the pale horsemen of the fourth seal called, “Death and Hades,” represents the other signatory along with Israel of this covenant. Until Death and Hades arrive on the world scene, the covenant can’t be confirmed and thus, the Trib-Period can’t commence. 3. I believe that the saints of the fifth seal are slain in the time-gap and that’s why they ask the pertinent question in Revelation 6:10, “How long, O Lord, holy and true, until You judge and avenge our blood on those who dwell on the earth?” They ask this question because they seemingly die before the covenant is confirmed that starts the seven years of the Trib-Period. If they were alive when this covenant was ratified, they would know that only seven years remain until Christ avenges their blood at His Second Coming.